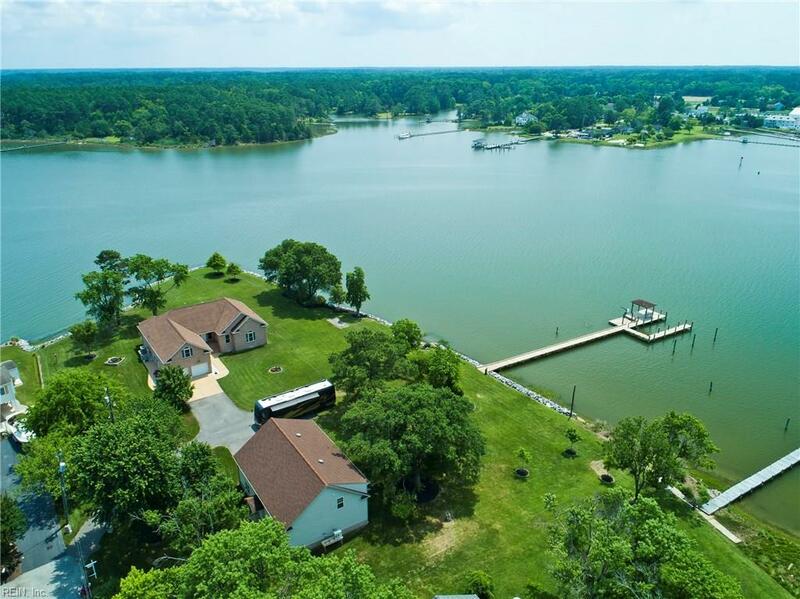 Spectacular waterfront all-brick, custom built home designed to capture the magical views, wildlife, & boating w/ deep water & full access to the Chesapeake Bay. Wake up to the mast lights of the moored sailboats that look like stars just landed right in front of the house! 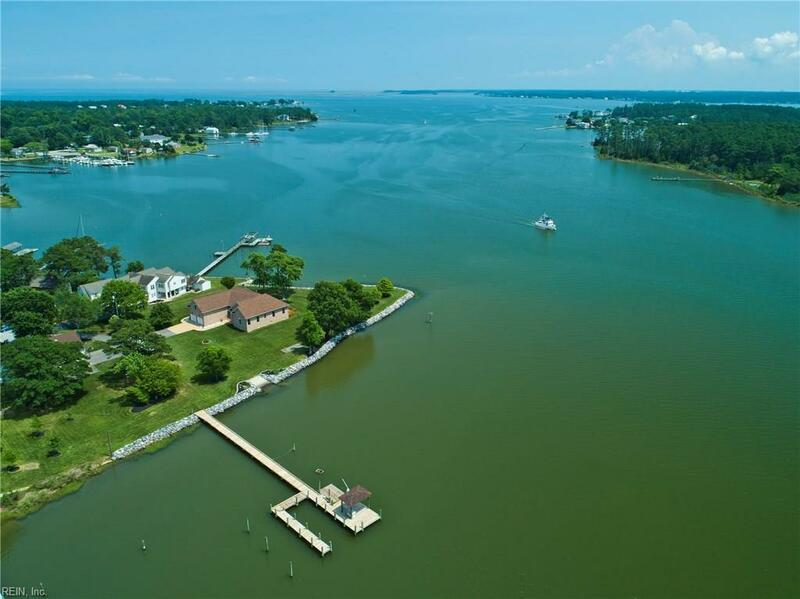 Situated on 1.9+ acres, this property offers over 580 ft of shoreline, a 165 ft pier w/ a boat slip, approx. 3.5 ft at mean low, gazebo, water/electric, an oyster bed, boat ramp, jet ski lift, & a full bulkhead. 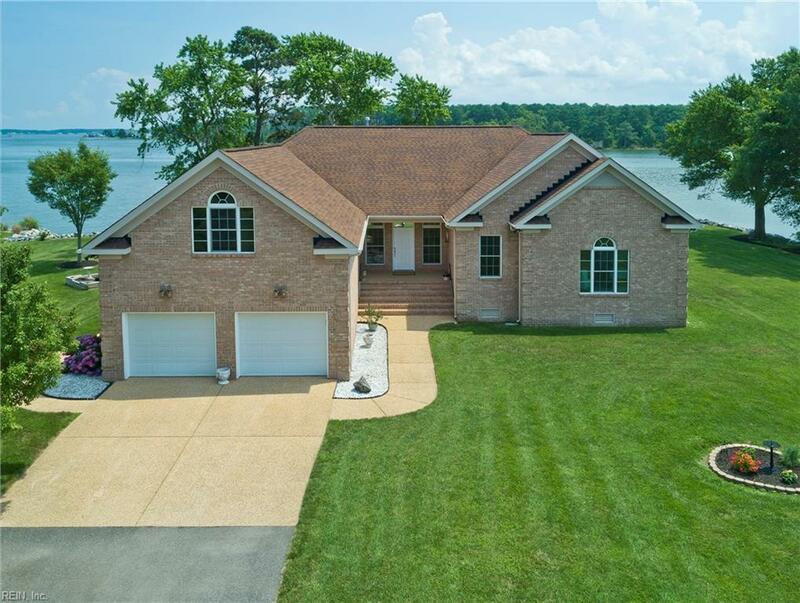 This warm, inviting & quality built home designed for the water offers 4 BRs, 3 bathrooms, a breakfast area, formal dining room, huge living room, Anderson windows, tray & cathedral ceilings, dual zoned HVAC, an oversized attached garage, & 400 amp elec. There is also a HUGE 3500 sq. 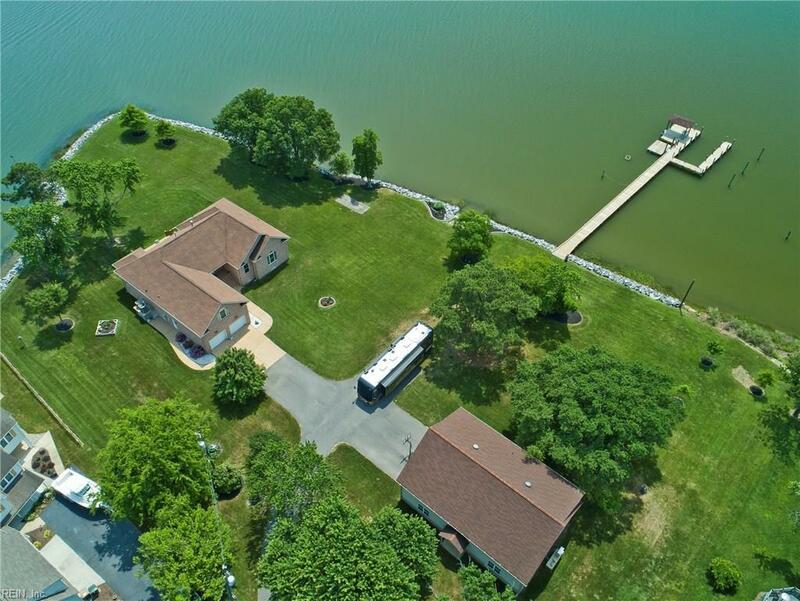 ft. detached 2-story garage that can accommodate 3+ cars/boat plus a huge workshop & has a finished 2nd floor w/ HVAC & bath (also plumbed for shower & kitchenette), overhead hoist, hinged overdoor, water, & 200 amp elec. © The listings data displayed on this medium comes in part from the Real Estate Information Network, Inc. (REIN) and has been authorized by participating listing Broker Members of REIN for display. REIN's listings are based upon Data submitted by its Broker Members, and REIN therefore makes no representation or warranty regarding the accuracy of the Data. All users of REIN's listings database should confirm the accuracy of the listing information directly with the listing agent. © 2019 REIN. REIN's listings Data and information is protected under federal copyright laws. Federal law prohibits, among other acts, the unauthorized copying or alteration of, or preparation of derivative works from, all or any part of copyrighted materials, including certain compilations of Data and information. COPYRIGHT VIOLATORS MAY BE SUBJECT TO SEVERE FINES AND PENALTIES UNDER FEDERAL LAW. REIN updates its listings on a daily basis. Data last updated: 2019-04-21T11:35:28.6. © 2019 Outer Banks Association of Realtors MLS. IDX information is provided exclusively for consumers' personal, non-commercial use and may not be used for any purpose other than to identify prospective properties consumers may be interested in purchasing. Information is deemed reliable but is not guaranteed accurate by the MLS or AtCoastal Realty - Real Estate Excellence. Data last updated: 2019-04-21T11:37:34.693.